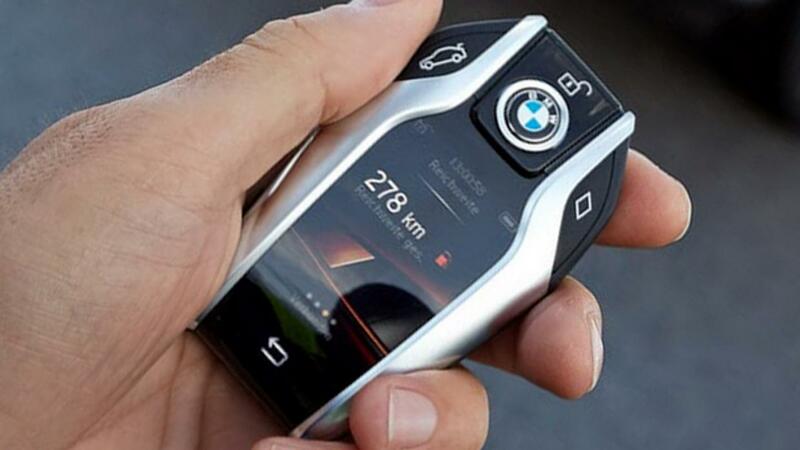 Is the new key from BMW an amazing inflection point in everyday object design; something that will be the Godfather of all future car key design, or has it just started the countdown to us not needing car keys at all? I mean, it’s an object not too dissimilar from the object you are (according to this websites analytical data) there’s around a 1 in 3 chance you’re holding right now – your mobile phone. We spent a good number of years as consumers demanding consolidation. The PDA, MP3 player, the digital camera – all used to be little hand held devices that went by the wayside in favor of the ubiquitous, omnifunctional smart phone. Will the smart key do likewise? As a designer, looking at this object on the one hand inspire design thinking – particularly around my area of specialism – the digital screen based interface. Part of the Human Centric design side of me wonders if the best fit solution isn’t smart phone based. Anyway. Pretty cool looking object of desire. I’ve got kenvy. (key envy). Apparently, you can use it as a remote control and actually (slowly) move your car with it, which strikes me as ridiculous but so cool, all the same.